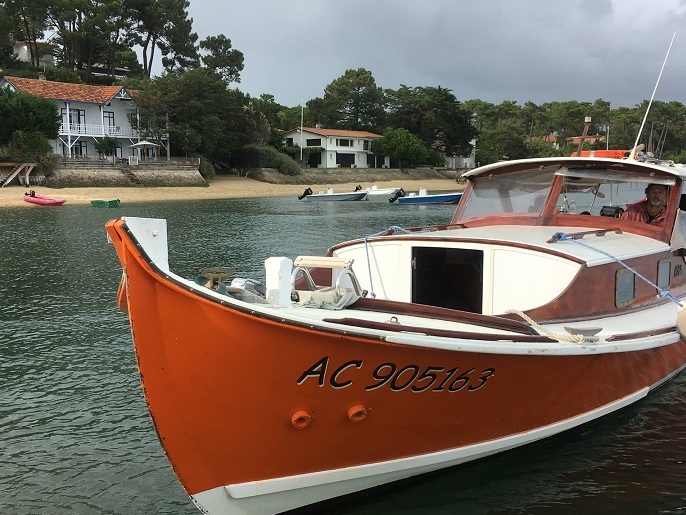 Discover our food tours on foot or by boat around the Bassin d’Arcachon ! We propose food tours in the most beautiful villages of the Cap Ferret peninsula and around the Bassin d’Arcachon. Half a day (mid morning or late afternoon), we accompany you on a walk of about 6 kilometers. We discover some tucked away addresses in these villages. We stop several times to taste good local products from the South West of France, sometimes in unusual places. Good humour to boot ! Beginning 10:30 - 4h approx. - small group - adult 49€ with 4 stops (10 tastings). child 29€ with 2 stops. Beginning 16:30 - 4h approx. - small group - adult 49€ with 4 stops (10 tastings). child 29€ with 2 stops. 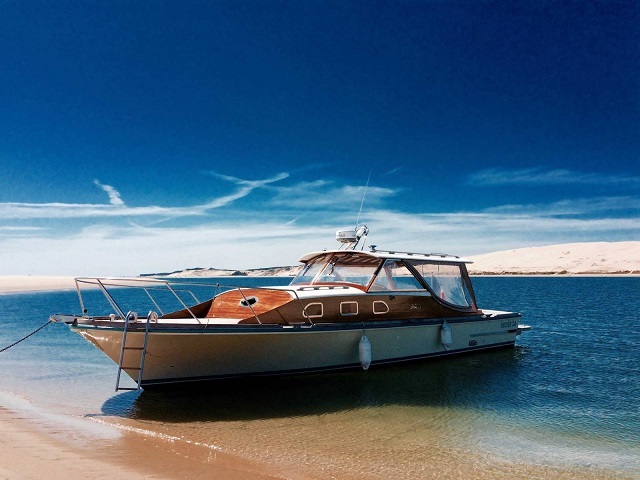 During several hours, you will discover the most beautiful places of the Bassin d’Arcachon in an exceptional boat. With a maximum capacity of 10 people, you will discover the magic of cruising and the Bassin like never before. Each stop is punctuated by a tasting of regional products from the South West of France and a glass of Bordeaux wine (or soft). These products will be presented and commented upon. A lot of good humor and smiles ! The maximum number of people is 10. Departure at the pier of Grand Piquey (on the peninsula of Cap Ferret). The famous oysters of the Bassin d’Arcachon of course! You will be able to learn how to open them. A famous sweetness typical of the peninsula of Cap Ferret. Examples not valid for commitment; Tastings may vary depending on the supply. You will be welcomed on a very comfortable boat: 2 sun loungers, one at the front and one at the rear, a central tasting area, a toilet, a deck shower. Private Boat for 3h, 10 persons included, 480€. Food tour : 49€ /person (drinks included), 29€ / child (<15 years old). Local guide included. Private Boat for 4h, 10 persons included, 650€. Food tour : 49€ /person (drinks included), 29€ / child (<15 years old). Local guide included. Any consumption of food or drinks not included in the food tour has to be paid for by the participants.